Apple could cut the capacity of DRAM in its upcoming anniversary iPhones with the rising prices of storage and memory components hitting its profit margins. Apple acknowledged the rising DRAM and NAND prices during its second-quarter earnings call Tuesday. The company expects the pricing pressure to continue in the near term. Those prices, in turn, could impact the memory capacity of the next iPhone. Trendforce, which tracks SSD and DRAM pricing, predicted the iPhone 8 will be capped at 3GB of DRAM. Consumers will have to wait until the successor to the iPhone 8 to get 4GB of DRAM, TrendForce said. Those phones would be released in 2018 or 2019. Trendforce is predicting that three iPhones will be released this year. Two iPhones -- a 5.8-inch iPhone with an AMOLED display and a 5.5-inch model with an LCD screen -- will have 3GB of memory. A 4.7-inch model with an LCD screen will have 2GB of DRAM, the company predicted. 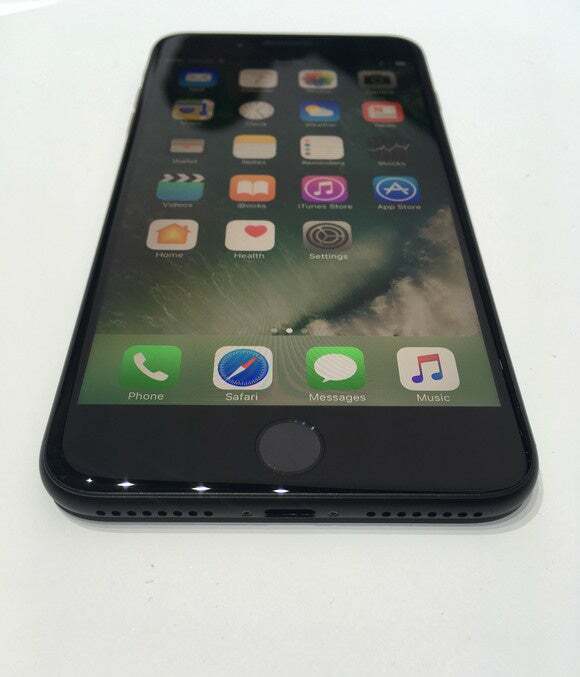 The current 5.5-inch iPhone 7 Plus has 3GB of LPDDR4 memory, while the 4.7-inch iPhone 7 has 2GB of memory. The memory is supplied by Samsung, according to iFixit.com. Smartphone makers are plugging more DRAM and flash storage into devices because users are embracing multimedia, gaming, virtual reality, and artificial intelligence. One version of Samsung's Galaxy S8+ has 6GB of DRAM, but it is available only in South Korea. Shortages have caused the prices of DRAM for mobile devices and PCs to spike. Trendforce says that prices for mobile DRAM like LPDDR4 will increase by more than 10 percent this year. Last month, Gartner predicted a price decline of DRAM and flash storage would start next year and crash in 2019. Prices of mobile devices have gone up due to DRAM and NAND flash shortages. During the earnings call, Apple noted that the average selling price of the iPhone, including all models, was up to US$655 from $642 a year ago, with those numbers including a strong mix of iPhone 7 Plus. Unfavorable foreign exchange rates also affected prices. Apple buys DRAM and NAND flash in large quantities, and, as a result, gets favorable pricing from suppliers. The hit on iPhone margins was made up by profits from ancillary offerings like services, said Luca Maestri, chief financial officer at Apple. At this point, adding more DRAM and NAND will make the next iPhones more expensive to manufacture and hurt Apple's profit margins. Apple will likely avoid the temptation of adding more DRAM. Trendforce is predicting that average memory in smartphones this year will be around 3.2GB, a revision from an earlier projection of 3.7GB. Lowering memory capacity is one way for device makers to cut corners and maintain profit margins. It's especially prevalent in PCs. Some new, low-cost laptops may have lower resolution screens, less memory, lower storage, or may not include a webcam. The PC market has been severely hit by the price increases of DRAM, NAND, displays, batteries, and components. In February, Lenovo's chief operating officer, Gianfranco Lanci, said PC prices would go up because of the rising component prices. Apple reported revenue of $52.9 billion for the third quarter ending on April 1, growing from $50.5 billion in the same quarter last year. The net profit was $11 billion, growing from $10.5 billion. iPhone shipments in the quarter totaled 50.7 million units, declining 1 percent. iPad shipments were 8.9 million, declining 13 percent. Mac shipments increased 4 percent to 4.2 million units.